Rather than respond to the individual questions, I am copying some of the questions into this post, and addressing all the questions that they raise. Answer: As you are probably aware, FIG closed their doors somewhere in December 2007, so this question probably does not apply any more. I do not know how FIG priced their services, so I could not comment on the relative pricing either. 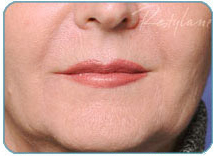 Answer: Lipotherapy can be used on the “double chin”. See the “before” and “after” picture that I am including. 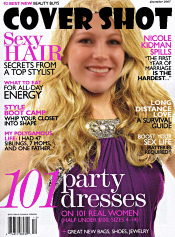 Answer: The American Society of Nonsurgical Aesthetics started trials in 2001, and published a report in 2004. Here is a brief extract from that report, indicating that currently there are no known long-term effects of Lipotherapy, but that more data (and time) is necessary to study this relatively new procedure. “In aesthetic medicine - and especially in the surgical field - there are therapies that present a much greater risk to patients than what is theoretically possible with LipoDissolve injections. As example of this, I would merely refer to the figures available on the number of serious incidents following liposuction and the frequently unsatisfactory aesthetic results from cosmetic surgery. Recent reported data published in Austria claim that 1/10 of all liposuction procedures either result in surgical deformities or patient discontentment, the figure being far higher than what had been expected. LipoDissolve can eliminate many risks apart from deformities resulting from surgery; to compare the risks facing older patients, side effects from surgery requiring general anesthesia can involve a distinct loss of cognitive functions affecting the patients everyday life and living. More recent studies indicate that we cannot fully exclude the possibility that alteration in mental functions can occur even in younger people who undergo any form of surgery that require anesthesia. Let me address the issue of price, as it frequently comes up as a question. I am aware that there are providers that would quote a price, as if the Lipotherapy procedure is a pre-packaged product. Sōna MedSpa takes a different approach. You have to come in for a consultation so that a consultant can assess your body type, determine your Body Mass Index (BMI) and the amount of fat to be removed, and whether you are indeed a candidate for Lipotherapy. Only at that point will the consultant be able to customize and price a treatment package for you. Answer: See the response to the previous post/question, addressing the issue of price. Answer: It is not recommended doing Lipotherapy on a 14 year old person. At that age, the body is still undergoing significant change, and much of the results achieved with Lipotherapy may end up being undone as the body matures. As for the cost of Lipotherapy, see the previous post on the cost of Lipotherapyabove. Answer: At age 47 you still have your best years ahead! 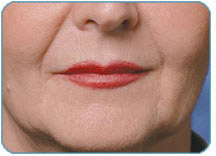 Lipotherapy is effectively used in the double chin area (See the “before” and “after” picture included above). It is difficult to say whether it would work on the neck – even our understanding of these areas may be different…and another good example why it is important to go in to Sōna for a free consultation. As for the puffy areas around the eyes – this does not sound like a typical Lipotherapy application, but there are a number of other treatment alternatives that Sōna has for treating the skin, smoothing and rejuvenating the skin, skin tightening, etc – well worth a visit to the MedSpa. Answer: Please see the previous post addressing the issue of pricing, and why Sōna MedSpa does not take a one-size-fits-all approach. The consultation referred to is free and without any commitment. All you have to lose are inches…! Answer: As for the cost of Lipotherapy, see the previous posts on the cost of Lipotherapy above. The Lipotherapy treatment is dependent on the number of areas that are to be treated, as the body acts as a natural regulator on the process – as is to be expected, the more areas you decide to do, the longer the process will take. Typically, for a single area, the process would take about 16 weeks to complete. Collagen is one of the most plentiful proteins present in our bodies. This amazing protein makes up about 25 percent of the total amount of proteins in the body. It I often said that Collagen is the glue that holds the body together. With this said, you can imagine that without it, the body would, quite literally, fall apart. Collagen acts like a connective tissue and is the cement that holds everything together. The picture below gives that same impression of a binding “mortar” between the bricks of all of our smooth muscle tissues. Collagen and elastin are key structural component of the skin, but also of bones, cartilage, tendons, lung tissue and blood vessels. Even the blood vessels rely on both collagen and elastin. Elastin provides flexibility to body tissues, while Collagen provides structure and firmness. Collagen is also responsible for the skin's strength. 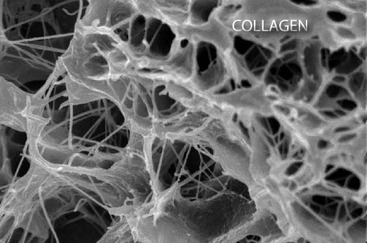 Collagen molecules pack together throughout the dermis, making up 75% of the dry weight of skin. 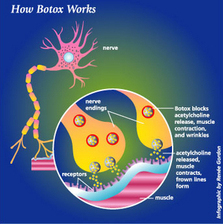 Collagen is often discussed in relation to the skin. Here it works with keratin to provide the skin with flexibility, resilience and strength. As people age, however, collagen degradation occurs gradually, leading to fine lines and wrinkles. This phenomenon is discussed in more detail in the article “Why does our skin age?” Collagen is therefore an important substance for those looking for ways to fight the visible effects of aging on the skin. Microdermabrasion (often referred to as Microderm) is a progressive, non-invasive treatment popular in day spas, doctors' practices, and medical spas, in which the stratum corneum (dead outermost surface of the skin) is partially or completely removed by light abrasion. As with most procedures, the technology in this field has developed from its original inception. Different methods include mechanical abrasion from jets of zinc oxide or aluminum oxide crystals, fine organic particles, or the latest technology provides for a diamond tipped roughened surface. Particles are removed through the wand/hand piece through which the abrasive particles come, or via the diamond chips on the end of the wand. In both crystals and diamond microdermabrasion systems the dead skin cells are sucked away from the face. The term dermabrasion itself refers to the more severe medical procedure carried out under general or light anesthesia. Removing the outer layer of the stratum corneum promotes the production of new cells in the deepest layer of the dermis. 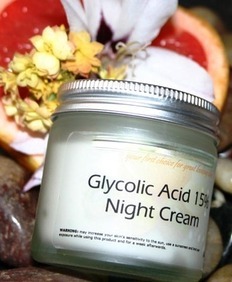 It also cleans pores and aids in balancing oil production. It further stimulates collagen networking to even out skin texture and tone. The area (typically the face) is thoroughly cleansed to remove excess oils from the skin. A clinician then manually passes a wand over the skin on the face. It gently abrades the surface while a vacuum thoroughly cleanses the skin of impurities. The procedure lasts 15 to 25 minutes. Afterwards a soothing toner is typically applied to the face, followed by a hydrating cream and sunblock. Microdermabrasion works in two ways. It works by gently exfoliating or removing the outside layers (stratum corneum) of the skin. The abrasive action of the wand gently removes the outer surface layers, allowing smoother, fresher skin to be apparent. The second way is that the vacuum action helps to stimulate microcirculation and lymphatic flow, increasing the blood supply that provides nutrients needed for skin regeneration. This helps accelerate the skin’s repair process and stimulates the formation of new collagen and elastin thereby improving skin texture and elasticity.